I have a confession to make: I love a good conspiracy theory. Thanks to the internet, there are more conspiracy theories than ever before. They range from the simply fanciful – like KFC is owned by the Ku Klux Klan which laces the food with a drug that makes coloured men impotent – to the overly complex, like the death of JFK and the events of 9/11. There’s also Area 51, barcodes, Hangar 18, fake moon landings, Charlemagne never existed, the weather is controlled by the US military, and Bill Gates uses Wingdings to send secret messages to the Freemasons. The Nazis really did have a moon-base and made contact with several alien races, including dinosaur-like reptiles who now secretly rule the world from their underground base in the Antarctic. All great fun indeed, but when did the public’s distrust of their government (particularly in the United States) really take hold? A time-line laying out events from the annals of ufology alongside moments in history that we are sure we know to have happened can seem a little bewildering. The connections aren’t always immediately obvious. For instance, what does the foundation of the CIA have to do with the recovery of the wreckage of a weather balloon outside Roswell, New Mexico? You don’t have to scratch very deep to find that one event throws a very different light on the other. The year 1947 in particular is full of examples where history collides head-on with UFO mythology. With the advantage of hindsight and startling evidence that came to light a few decades ago through the Freedom Of Information Act, the result of pairing the two views of the past provides a cleaner truth than we might have imagined possible. 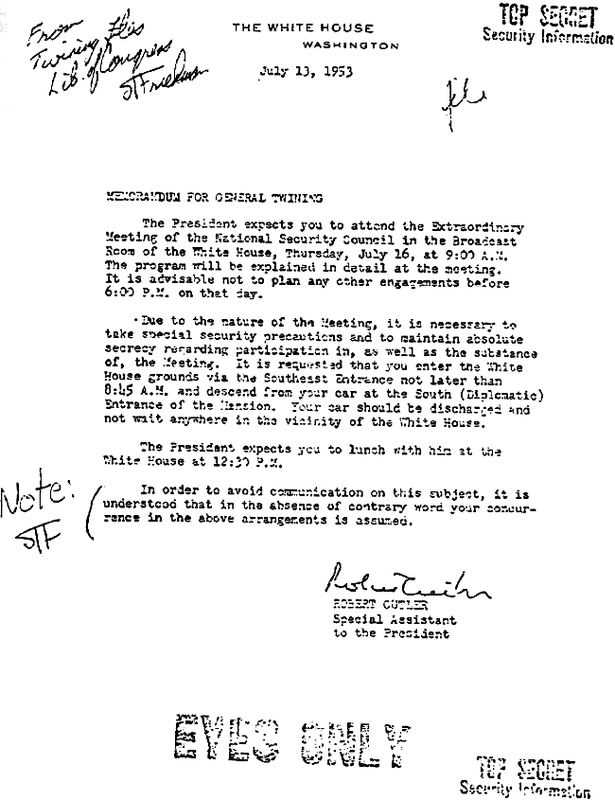 In March 1947 (four months before the so-called Roswell incident) President Harry Truman asked Congress for $400 million to support the stand against communism in Turkey and Greece. Less than two weeks later he asked for an additional $25 million, this time to carry out security checks on all members of the FBI for, amongst other things, tendencies towards communism. But was Truman really arming the United States against communism, or was he using communism to hide the terrifying face of his real mission, to defend the world from a threat far worse than Stalin? * Doctor Lloyd Berkner (Executive Secretary of the Joint Research & Development Board). * Doctor Detley Bronk (chairman of the National Research Council). * Doctor Vannevar Bush (leader of the Manhattan Project developing the first atomic bomb). * Gordon Gray (Assistant Secretary of the Army). * Doctor Jerome Hunsaker (Chairman of the National Advisory Committee for Aeronautics). * Doctor Donald Menzel (Director of the Harvard College Observatory). * General Robert Montague (commander of Sandia base in New Mexico). * Rear Admiral Sidney Souers (Executive Secretary of the National Security Council). * General Nathan Twining (Commanding General at Wright-Patterson Air Force Base). * General Hoyt Vandenberg (Director of Central Intelligence). 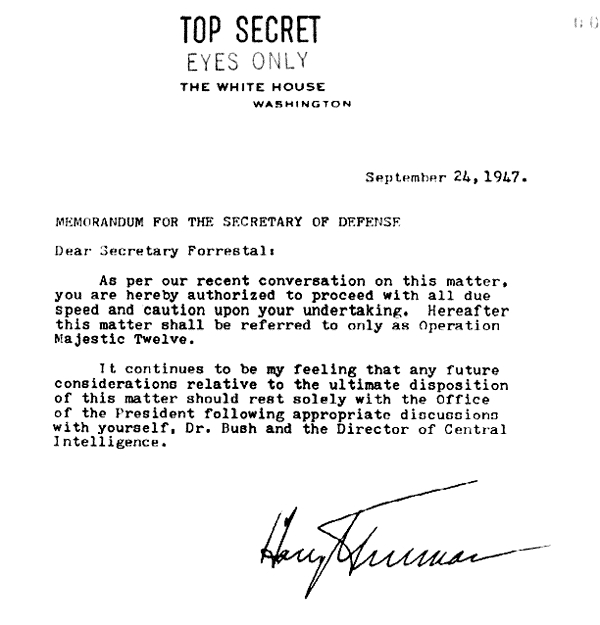 The authenticity of Shandera’s documents have been questioned of course, but the initial reaction of Richard M. Bissell Jr. (ex-CIA Deputy Director of Plans and a member of the White House Staff during the Truman administration) was that the documents were real. Other anecdotal evidence supports this claim. 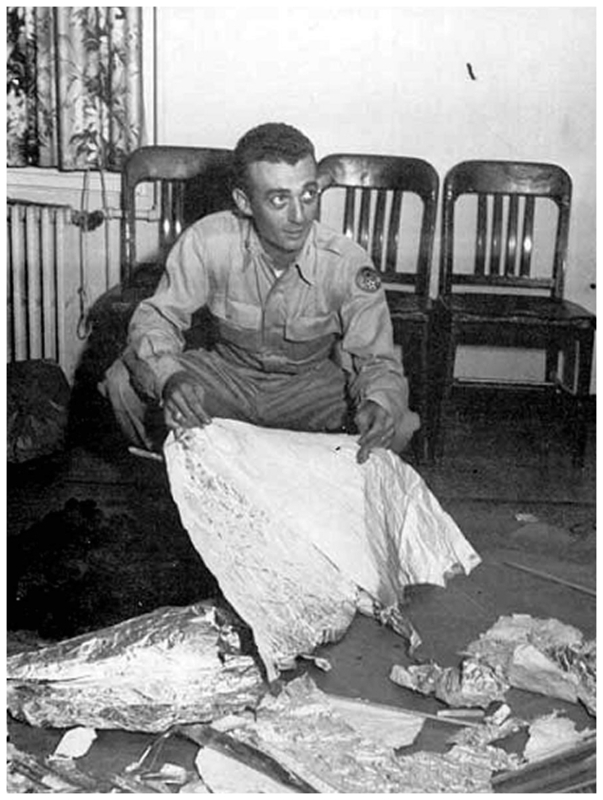 UFO researcher William Steinman was even warned off the subject of Majestic-12 by Doctor Eric Walker (British scientist who served as Executive Secretary of the Research & Development Board) after Walker had admitted that he had been present at meetings at Wright-Patterson Air Force Base where they discussed not only the recovery of UFOs, but what should be done with recovered alien bodies. 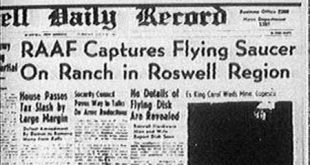 If Majestic-12 really existed and has been kept secret for so long, it stands to reason that the official line on Roswell may not reflect what really happened on the 2nd of July 1947. The briefing papers which mysteriously came to be in possession of the Hollywood producer may offer some clues. 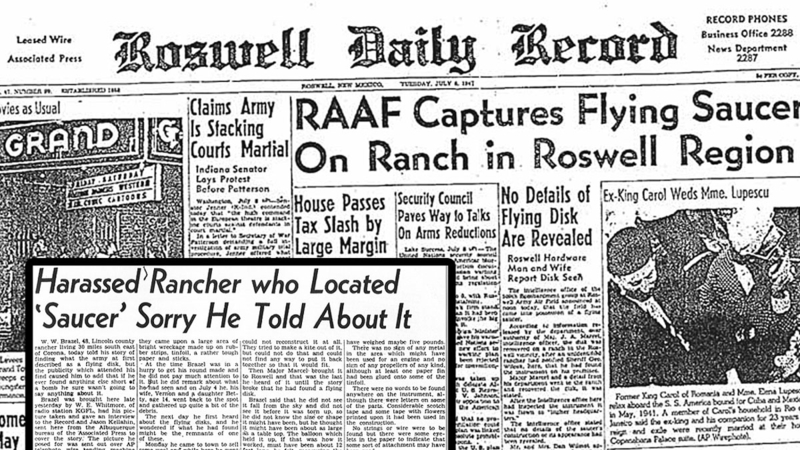 Allegedly, the papers describe that an aerial reconnaissance mission on the evening of the 2nd of July recorded the ejection of four small human-like figures from the Roswell craft. The bodies were not found for a further week, during which time they became decomposed and damaged by predators. 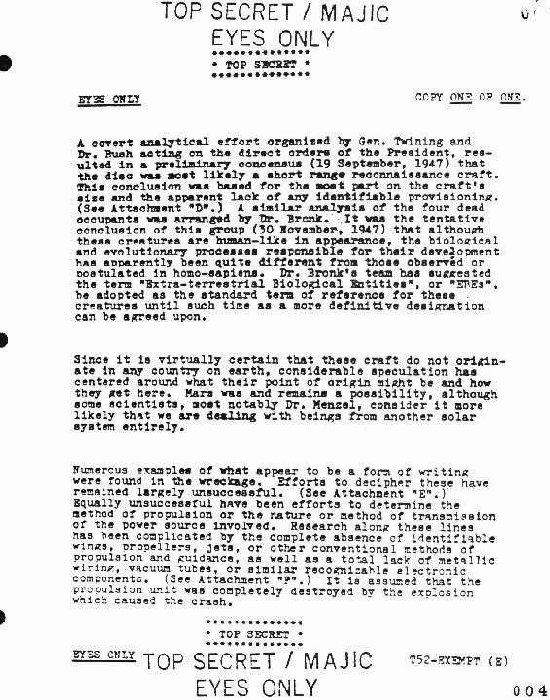 Nevertheless the bodies were subjected to analysis in a covert effort, headed by General Twining and Doctor Bush on the orders of President Truman. Doctor Bronk’s conclusion on the origin of the creatures was that the biological and evolutionary processes responsible for their development were quite different from those observed and postulated in homo-sapiens, and dubbed the creatures Extraterrestrial Biological Entities (EBEs). 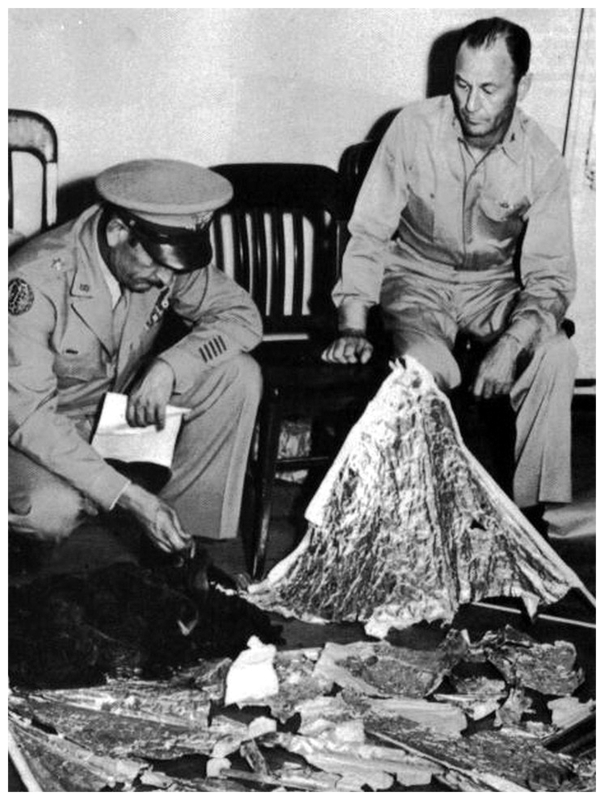 Intelligence officers who would normally be notified in such circumstances (like Jesse Marcel of the 509th Bomb Group, the atomic-bomb unit at Roswell Army Air Field) were kept unaware that any bodies had been found, but it was a difficult secret to keep when civilians were involved. Glenn Dennis, who worked as a mortician at a funeral home near the base, recalls being asked about the availability of hermetically-sealed coffins for future use. Dennis learned more from his girlfriend, a nurse at the base, who claimed she was present for the autopsy of the EBEs. This nurse was later transferred to England and allegedly killed in a plane crash of which no record has ever been found. Whatever the real story is, it seems odd that the crash of a weather balloon should have been surrounded by so much secrecy and that the wreckage of a balloon should have been transported from place to place under armed guard. The case was reopened in the nineties when US Congressman Steven Schiff of New Mexico asked for a full report. 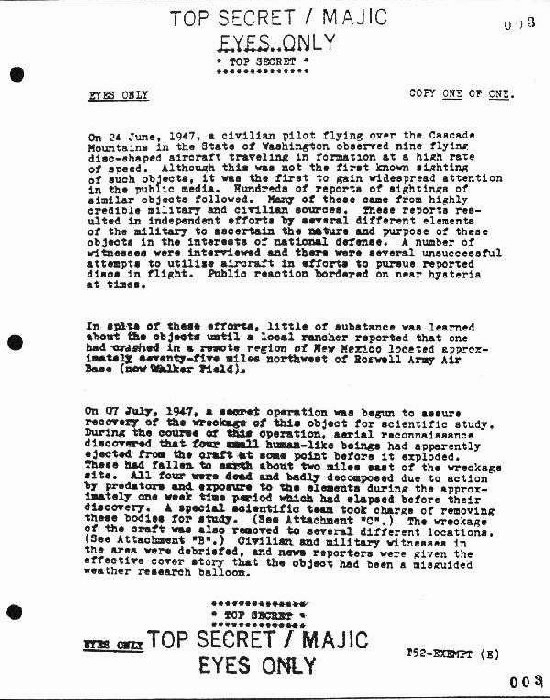 The matter was taken up by the General Accounting Office, the investigative branch of Congress, but before they were able to release their findings, the Air Force issued a preemptive report that stated that the post-war US military (or today’s for that matter) simply did not have the capability to rapidly identify, recover, co-ordinate, cover-up and quickly minimise public scrutiny of such an event, and the claim that they did so without leaving even a little bit of a suspicious paper trail for half a century is incredible (anyone who knows how difficult it is to keep a secret among three people knows how absurd the idea of an international conspiracy might be). Perhaps the idea that the US military could have covered up an alien landing is incredible, but it could be that even the Air Force report of the nineties was subject to Majestic’s veto and thus bound to deny the existence of UFOs. Whatever the case, something definitely seems to have happened in 1947, as Roswell was not the only alleged sighting of an alien craft that year. In June, Kenneth Arnold sighted twenty-five brass-coloured objects over the Grande Valley in Oregon and, in July, the crew of a DC-3 over Idaho encountered five UFOs. In September, the flight crew of a civilian flight to Honolulu encountered a glowing object over the Pacific Ocean, and it wasn’t just happening in America. In France there was a marked upsurge in sightings of the Virgin Mary. The following year, 1948, was also a bumper year for sightings over or near US Air Force bases. If there was nothing to worry about, why did Brigadier General C.P. Cabell request that every military base in America be equipped with an interceptor aircraft for the specific purpose of chasing UFOs? Why, in February of 1949, was the National Laboratory at Los Alamos made the venue for a conference to discuss the UFO phenomenon? The early fifties were no less busy on the UFO front, producing legislation to cover the manner in which UFOs should be reported and, allegedly, the foundation of the Interplanetary Phenomenon Unit. General Douglas MacArthur is even said to have announced that, “The nations of the world will have to unite, for the next war will be an interplanetary war.” Not long after MacArthur’s statement, the Soviet Union united with eight other Soviet countries in the Warsaw Pact. A response to the news that West Germany had been allowed to join NATO, or to the rise in the number of sightings in Soviet airspace since 1947? In the late fifties and early sixties the so-called ‘Cold War’ escalated dramatically. The Americans discovered that the Soviets were developing ballistic missiles, then the Soviets managed to launch the first ever artificial satellite months before the US was able to respond in kind. Politicians in the United States feared that a ‘missile gap’ would leave them at the mercy of the Soviets. UFO sightings continued, one of the most notable being over the headquarters of a tactical missile organisation at Sverdlorsk in the USSR in 1959, when a UFO circled the site for twenty-four hours. Two years later the Soviet missile base was again the focus of much inexplicable activity, including sightings of a disc-shaped object and the disappearance of the entire crew and all the passengers on one of the base’s planes, though the plane was later found intact. A widely-held theory that the increase of UFO sightings since 1947 could be due to the increase in military technology is supported by the Sverdlorsk mysteries. The theory holds that aliens have been attracted to the Earth by our experiments with atomic energy in particular. Some even believe that the visitations to atomic missile bases were intended as warnings that the deployment of such missiles could cause widespread damage and misery, and not just on this planet. Another theory is that the aliens are looking for our Achilles Heel. They will have no need to sweep in and fight us for our resources if they can carefully manipulate the weaknesses we already have and use them to set us at each other’s throats. Certainly it seems that as we are well into the third millennium, the human race finds itself in a period of unprecedented uncertainty and insecurity. Many believe this period started in the sixties, when the world supposedly lost its innocence. It seemed that every status quo was being challenged then: racial equality; female liberation; political ideologies; etc. People began to question the right of the government to keep them in the dark about things ‘for their own good’. Maybe even the President of the United States doesn’t have access to the full story. 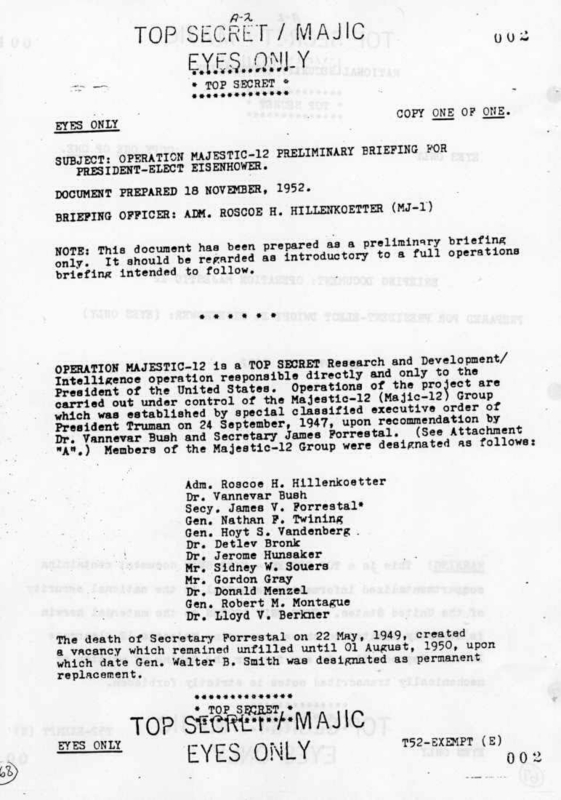 The briefing document from Rear Admiral Roscoe Hillenkoetter that shed so much light on Majestic-12 took almost forty years to emerge from its top-secret vault. Perhaps by the end of this century something will come to light that will answer the remaining questions that continue to puzzle. * A Narrative History Of America 1932-1972 by William Manchester (Bantam Books 1975). * Project Blue Book by Brad Steiger (Ballantine Books 1976). * Above Top Secret by Timothy Good (William Morrow 1988). * The UFO Cover-Up by Lawrence Fawcett & Barry J. Greenwood (Simon & Schuster 1990). * The US Military Retrieval & Cover-Up Of A UFO by Don Berliner & Stanton Friedman (Paragon House 1992). * Are We Alone? by Paul Davies (Simon & Schuster 1992). * The UFO Encyclopedia by John Spencer (Avon Books 1993). 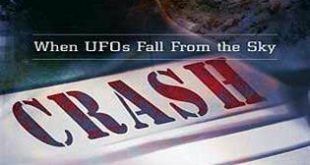 * The Truth About The UFO Crash At Roswell by Kevin D. Randle & Donald R. Schmitt (M. Evans 1994). * Beyond Top Secret by Timothy Good (Macmillan Publishers 1996).